On your voucher you will find the opening hours of the car rental location. In most cases the pick-up counter is located in the arrival hall of the airport. Look for the signs that say “car rental”. 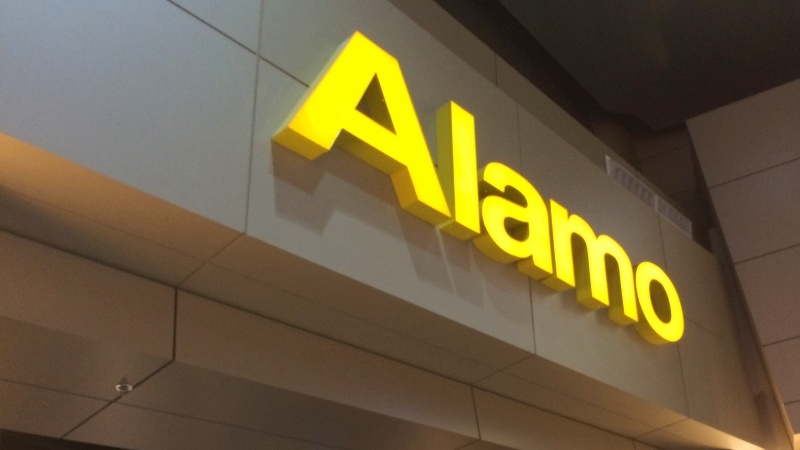 At the pick-up location one of the Alamo employees will record all your data and then print the rental agreement. In the agreement the rental car is mentioned as well as any extra options you have chosen. Please read this agreement carefully before you sign. Bear in mind that signing the agreement means that you give permission to collect the mentioned total amount from your credit card. Depending on the country where you pick up your rental car and the terms and conditions of the booked car rental rate, the pick-up location can put a hold on your credit card for the amount of the deposit. This hold is released when you return the car without any damage. It is important that you check your rental car carefully for any existing damage before you drive off. In Europe usually an employee will accompany you to check the car for any scratches or dents. After checking the car you sign a form on which any existing damage is noted. This way the rental location knows that you are not responsible for this damage. In the USA and Canada you can enter your data online before you leave. This way you will be on the road in no time. If you want to return the car outside opening hours of the rental location, it is sometimes possible to use a so-called Drop-box. You will leave the car in an agreed parking place and put the key in the Drop-box. Note that you remain responsible for the rental car until an employee of the rental location checked it in. When you drop off your rental car it is important that you check it together with an employee of the rental location using the check-out form. In case any damage is discovered that was not noted when you picked up the car, the rental location will deduct the proper amount from the deposit.